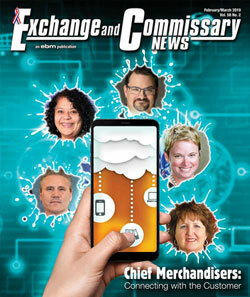 View highlights from our current issue and see what E and C News is all about. ... Covering headquarters, regional offices and store-level operations. Features news, interviews and merchandising reports examining every aspect of this diverse worldwide market  from Capitol Hill and the Pentagon to military resale activities around the world. Circulation contains only bona fide qualified readers, with each copy sent to a specific title  no bulk drops or "company copies" for suppliers included. The Leader in Military Retailing for more than 56 years! !